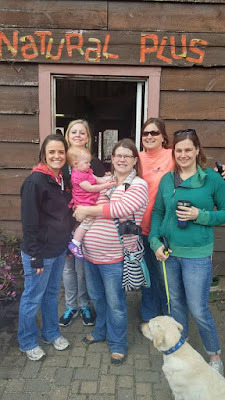 This past Saturday a group of the North Iowa Bloggers, the kids and I got a special pre-Open House tour of Natural Plus Nursery of Clear Lake. Natural Plus is the perfect place to get inspired for all of your landscaping, tree and windbreak needs! Natural Plus Nursery got its start in 1978 by Dave and Linda Hopper after they left their jobs in Des Moines to start their dream of operating a nursery and landscaping business. Their love of the business was passed down to their son Dave and daughter-in-law Mary, as they took over ownership of the business in 2013. While things may have changed slightly through the business succession, the business's tradition of quality products and quality service remain the same. Natural Plus carries a wide variety (over 400 to be exact) of trees, shrubs, perennials, pond plants, and more. If you visit their nursery, located at 10075 263rd St on the east side of Clear Lake, south of Furleigh Farms, you'll be able to explore their large inventory of plants perfectly fit for North Iowa. Their knowledge of each variety is great for helping you with your landscaping and windbreak needs. I should know, they are actually putting in the first phase of a windbreak on our farm this week and are working on a landscape plan for our acreage. 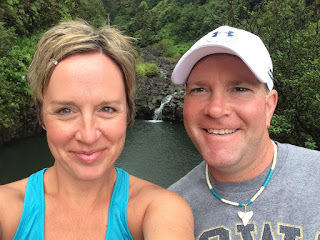 I recommend you check out Natural Plus to get inspired for any of your landscaping needs. With their large variety of plants, landscaping supplies, decoratives and metal art, I'm sure you'll find something that will be a perfect fit for your home. And this coming weekend will be the perfect time to check them out! Natural Plus Nursery will be having their Spring Open House Sale this Saturday, April 30th through next Saturday, May 7th from 8am to 4pm. Everything will be on sale - one item 20% off and additional items 10% off! What would you love to purchase for your home? What are your plans for your yard this spring? Be sure to Comment for a Cause! When we think of Earth Day we most likely think of planting a tree, or picking up trash, or your city's local clean-up day where you can finally get rid of that old TV or couch. For me, I've been thinking of a couple things, planting literally millions of seeds in a day, and sustainability of our farm. 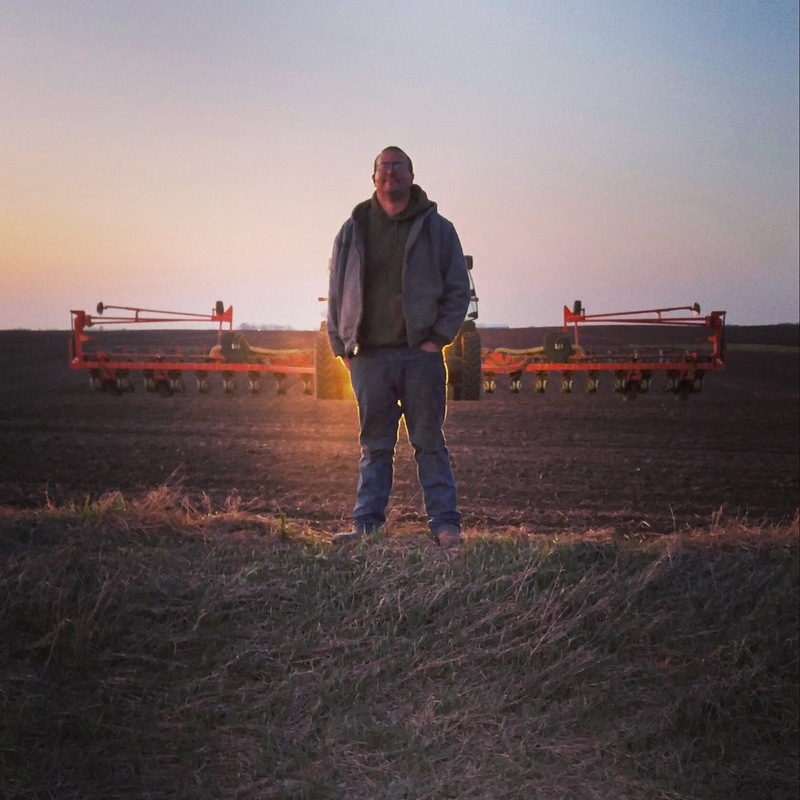 It's easy to be thinking of "planting a seed" this time of year, as we are busy with our corn planting season and next month will be switching to soybean planting. Every day, as long as fit planting conditions persist, we plant over 10 million corn kernels a day. Our rate of planting for corn is an average of 34,500 kernels per acre (about the size of a football field) and we plant an average of 300 acres a day. We make decisions all year long to make sure that we are taking care of our land and resources. Conservation is a daily aspect of our farm. We review and analyze the production of our land throughout the year so we can make the best choice for the use of our land. We have acres that are used for corn and soybean production, while others are enrolled in conservation programs like CRP and the Wetlands programs. We are also continually looking for new practices and technologies to help us better our farm. We are a family farm. Both My Farmer and I are 5th generation farmers and we feel honored to be carrying on our great-great-grandfathers' trades and traditions. We're thankful that the generations before us took care of our land, so we, as the current generation can continue their work and efforts. 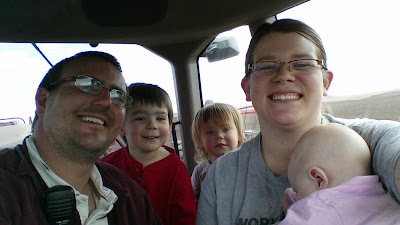 We also are "planting a seed" with our children, the 6th generation, in hopes that they will want to continue our farm. All three of our kids love being outside and helping in the field especially. Our oldest son, LP, tell us he wants to be a farmer when he grows up. He loves the idea of farming like Dad and Mom, and of course tractors and pigs are pretty cool aspects of the job too ;) My Farmer and I work everyday to make sure that our farm is not only sustainable for our family, but for future generations too. What are you doing today to celebrate Earth Day? What does Earth Day make you think about? Remember to Comment for a Cause! Last night the North Iowa Bloggers hosted their second, monthly Blab session. The first session I participated by filling-in one of the video seats and by commenting through the live chat. The second session last night I hosted. Blab has been a fun, new, social media tool that the North Iowa Bloggers have been exploring and I'm looking forward to seeing how this group, as well as I personally can use it in the future. Blab.im is one of the newest video streaming social media platforms available. I like to describe it as a live video talk show or conference with up to four people. The host has control who fills the other three available video seats, but anyone can watch the Blab and participate through the live chat feature. You can access Blab on your desktop (which is what I've done the last two sessions) or through their app. Logging into Blab (and setting up an account) is very easy and is connected through your Twitter account. There is no time length restrictions for Blab sessions. The North Iowa Blogger sessions have both been one hour each, which is the average length. If you are the host/moderator of the Blab you can record the session and will receive the Blab as mp3 and mp4 recordings following the session via email. You can give "props" (a pair of hands) to those participating in one of the Blab's four video seats. It is a fun way of giving immediate feedback. How can you or your business use Blab? If you have explored with video streaming before (or even if you've never done video) I recommend checking out Blab. I can't say enough how user friendly and simple I have found it, both as a participant and host/moderator. I feel like other video streaming platforms like Periscope and the new Facebook Live, are a nice way of talking to your audience, but Blab is a great way of having a conversation with your audience. So how would you like to have a dialogue with your audience or business patrons? I see Blab as a new way of doing podcasts, a great way to promote events with an panel, share about new products, show transparency with your business by taking questions, interacting, and answering questions from your customers, and bringing in specialists to share their expertise on different subjects to then share and have a conversation with your team or customers. As a farmer, I see Blab as a great tool to create transparency on our farm. One audience that is interested in learning more and seeing the farm are schools. Blab would be a great way to connect with multiple classrooms at one time and have interaction and discussion with them. Another audience I'd like to show what is happening on our farm with are legislators. Blab could allow me to show what is happening in our barns or out in the field at the same time as having experts like our veterinarian, agronomist, etc. also apart of the video discussion with multiple legislators through video seats and/or live chat. Plus the Blab session can be recorded and shared through YouTube, email, etc. with legislators who weren't able to attend the live session. 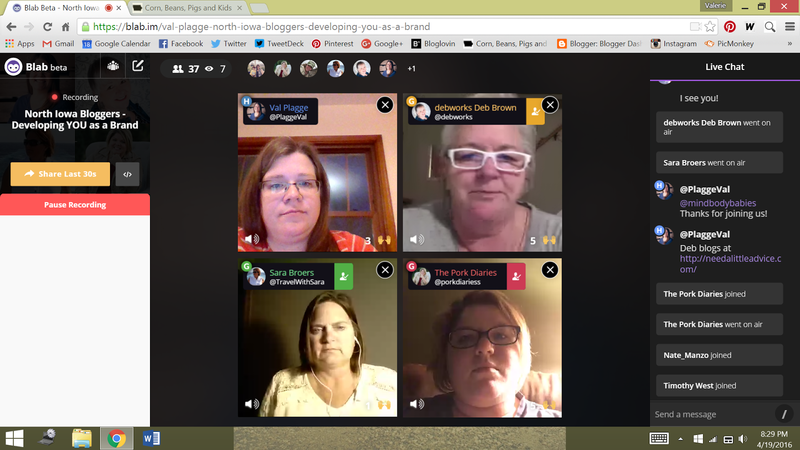 What's next for the North Iowa Bloggers on Blab? We are going to continue to do monthly Blab sessions, every third Tuesday of the month at 8pm CST. Our first session we shared "Who are the North Iowa Bloggers?" and had several of our members share who they are, opportunities they've participated in by being a member of the North Iowa Bloggers and what the group means to them. Last night's second session we focused on "Developing YOU as a Brand." 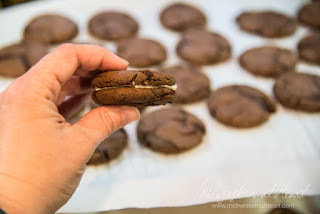 This Blab was inspired by a presentation that several of the North Iowa Bloggers heard at the Iowa Blogger Conference in Fort Dodge last month by Deb "Debworks" Brown (who by the way Blabs every Sunday!). I hosted the session and had Deb join in on the conversation, as well as North Iowa Blogger Sara who has evolved her brand over the last couple of years and North Iowa Blogger Alicia who just changed her focus and brand a few months ago. Be sure to check out the video recording from last night! We have future session plans of sharing about our group's travel opportunities, businesses we've worked with, and other topics that will benefit our members. The Blab sessions are open to everyone and we hope you can join us next time, which by the way will be May 17th! Have you ever "Blabbed" before? How would you use Blab video streaming? Remember to Comment for a Cause! To be flexible. Plans will be broken and holidays missed. I've learned to expect that our schedule will always change. The importance of a kiss good bye. Always remember to say "I love you" before he heads to work. It's easy to forget sometimes how dangerous his job can be, so making this a priority is important. That the "cop" in my husband is always "on". Whether we're driving to the grocery store or sitting in a restaurant, my husband is always thinking like a cop. He is always aware of our surroundings and the people in them. To believe. Not only in the person behind the badge - but in the job itself. Because it's not just their job, it's who they are. Supporting them and their profession makes all the difference. That this "blue family" truly is just that. A family. And that when times get tough we will all bind together. Friends and strangers alike, we are all deeply connected through this profession. 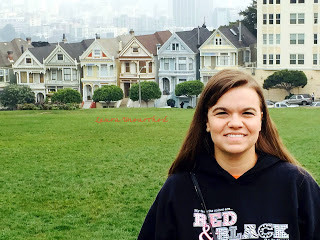 Thanks again to my sister for be a guest writer for this post. I am proud of both my brother-in-law and sister for their service. Remember to comment all month long to support Iowa C.O.P.S. 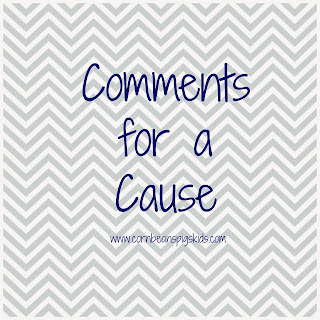 through my Comments for a Cause program! The Spring Planting Season will begin hopefully tomorrow for us; this means that I'll be busy in the tractor, or running around picking up parts or seed. Let's just say, I'll be on the move and not at home much. It can be a difficult time to know what to have on hand in the house for food for my family, because I don't know if we'll just pick something up while out in the field, or if it'll rain and I'll be expected to make a meal for everyone. That is why during this time of year I try have quick ingredients in my refrigerator, pantry and freezer to throw together to make on-the-go meals. One of those easy, on-the-go meals for my family is some type of "salad" sandwich - tuna salad, ham salad, egg salad, etc. This week rather than making my traditional egg salad, I got inspired by my friend Mary, of A Natural Soul's Chicken Salad and AE Dairy's seasonal Mr. E's Garden Vegetable Cottage Cheese. What I love about my friend Mary's Chicken Salad, is that she adds in whatever veggies she has around the house to her mixture. It is such a simple way of adding more vegetables to your diet, plus it helps clean out your refrigerator. What I love about AE Dairy's Mr. E's Garden Vegetable Cottage Cheese, is that it's a great spin on a refrigerator staple of our house. It has just the right amount of flavor and zing. I wanted to find another use for it other than substituting it in my family's lasagna, so I thought, why not substitute the mayo in my egg salad for the cottage cheese. It worked out perfectly! This Veggie Egg Salad is a great protein and veggie packed meal - perfect for quick, on-to-go (tractor friendly) sandwiches. Feel free to use whatever veggies you have on hand in your house - carrots, celery, onion, pepper, broccoli, cauliflower, etc. It is a great spring sandwich that also helps you clean out your fridge or use your garden's produce this summer. Combine the eggs and vegetables in a mixing bowl and then stir in the cottage cheese. You could also put the eggs and all of the vegetables in a food processor and chop til they're the size you'd like; then stir in the cottage cheese. This egg salad goes great on bread, buns, crackers, or my favorite Doritos... Serve immediately and refrigerate leftovers. This recipe makes six servings. How would you use AE Dairy's Mr. E's Garden Vegetable Cottage Cheese? Share your ideas in the comment section and I'll send a coupon for a free container to one of the commenters at random next week! Remember to Comment for a Cause! Before April 1st comes to a close and hopefully my 5 year old son will stop telling me I have a worm on my head... 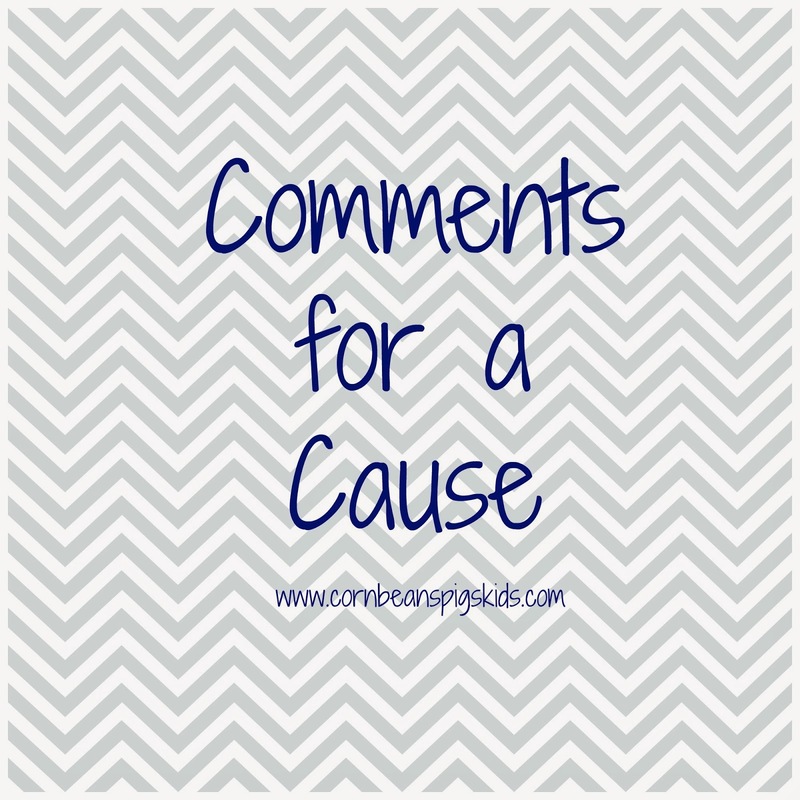 I have to share about this month's Comments for a Cause program and give a recap on last month's program! In the month of March I had 55 comments, creating a $27.50 donation to First Book. Thank you to everyone for your support of this great organization that is trying to get books in the hands of all children in the United States. 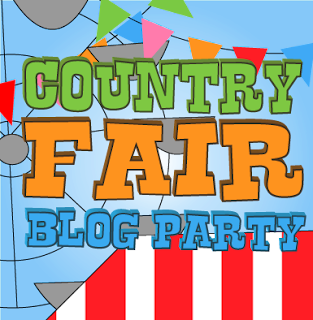 In the month of April, I am honored to be donating $0.50 for every comment made on my blog to Iowa C.O.P.S. Last Saturday morning, two Des Moines Police Officers were killed in a car accident while transporting a prisoner. I was first made aware of this tragic, sad new early on Saturday morning when one of my sisters sent me a text saying "In case you've seen the news, I wanted to let you know that (her husband, my brother-in-law) is OK." My brother-in-law is a Des Moines Police Officer and there have been a few times during his 3+ years of service that our family has gotten similar texts. So, I figured there had been some type of police stand-off or big take-down where shots had been fired. I wasn't prepared to search on the Des Moines news websites to see that two officers had been killed in the line of duty. Being a family member of someone in public service can be difficult. You know they are working hard everyday to protect everyone, but by doing so, they can often find themselves in danger. I often have to remind myself that I know they have chose this as their career because they love it and wouldn't want to be doing anything else. I know they genuinely care about making their home and community a better and safer place. I know they strive to make changes of good in those that they help. But I also know, there are risks in what they do everyday. My heart and prayers goes out to the families of Officers Susan Farrell and Carlos Puente-Morales this week. Even though they know why their loved ones worked hard every day in the field of public service, it can still be difficult to swallow the risks that happened on Saturday morning. That is where Iowa Concerns of Police Survivors (C.O.P.S.) comes in to offer both emotional and financial support. Iowa C.O.P.S. provides resources to surviving family members and affected co-workers of law enforcement officers killed in the line of duty. These resources include counseling from both professionals and others who are police survivors, help with planning and organization of funerals, and support for memorial efforts. 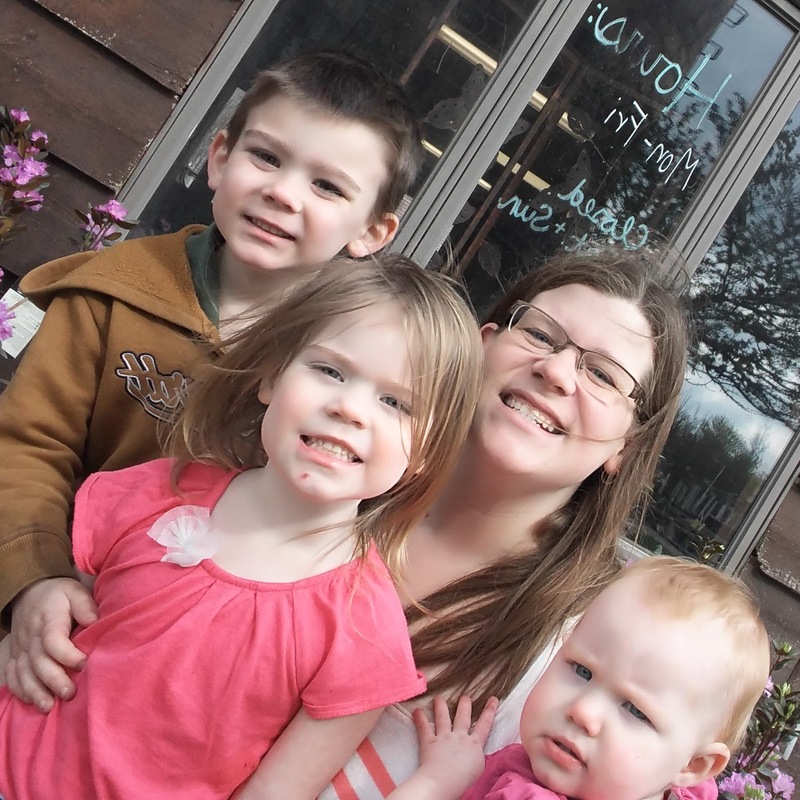 I know these resources have been a huge benefit for all those mourning right now, and that is why I want to support these families and co-workers by donating $0.50 for every comment made on my blog throughout the month of April to Iowa C.O.P.S. Please remember to Comment for a Cause all month long!